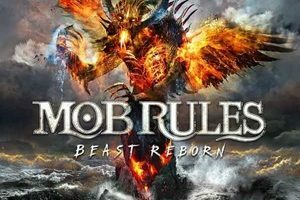 It would be unfair to lump Mob Rules in with the rest of the current power metal hacks, but we did it anyway and for that, we’re sorry. Next round of beers (German ones, no less) are on this humbled scribe. Radical Peace is marvellously executed, pristine power metal, with a compelling concept about JFK’s assassination to boot. And who said power metal doesn’t know any other history than medieval times? Where there’s balance in power metal, there’s usually success. 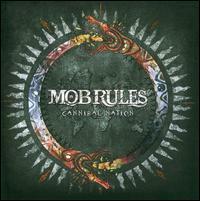 Mob Rules are able to conjoin mid-tempo, anthemic numbers like “Trial By Fire” and the sing-along frenzy of “Warchild” with progressive, elaborate constructs like the towering opener, “Children of the Flames.” There’s not a lot of bells and whistles here, just meat and potatoes power metal bolstered by Klaus Dirks’ Kai Hansen-lite vocals. At the center of Radical Peace is the six-part “The Oswald File,” a recollection of John F. Kennedy’s assassination in 1963. Told through the eyes of Lee Harvey Oswald, the song takes numerous trips down Dream Theater lane, albeit with less wanking and more emphasis on delicious power metal dramatics, of which there are no shortage of. What had the potential of being an awkward and goofy concept song, turned into what could very well be Mob Rules’ finest hour. 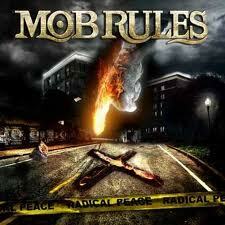 Seven albums into their career, Mob Rules appears to have finally made inroads toward respectability. In fact, Radical Peace should take the Germans beyond respectability; it should help supplant them in the tier below the giants of power metal (Helloween, Blind Guardian, Gamma Ray) and provide more substance to a band more known for aping a Black Sabbath album title than anything.